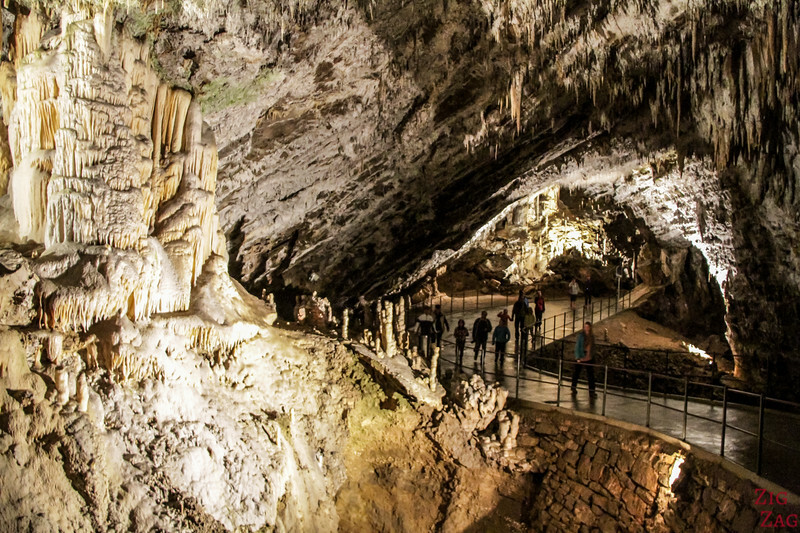 The Postojna Caves Slovenia are one of the top attractions in the country. 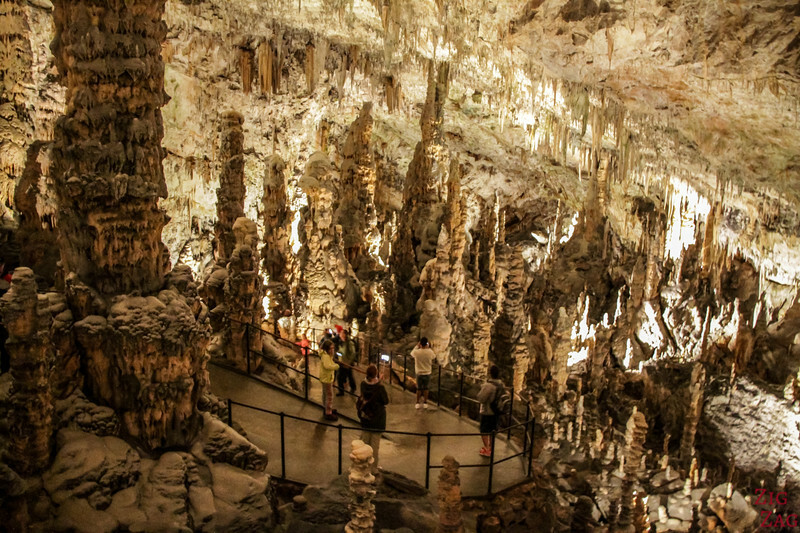 Even though it is crowded and very touristic, I really recommend a visit to this amazing network of underground caves in the Karst region. 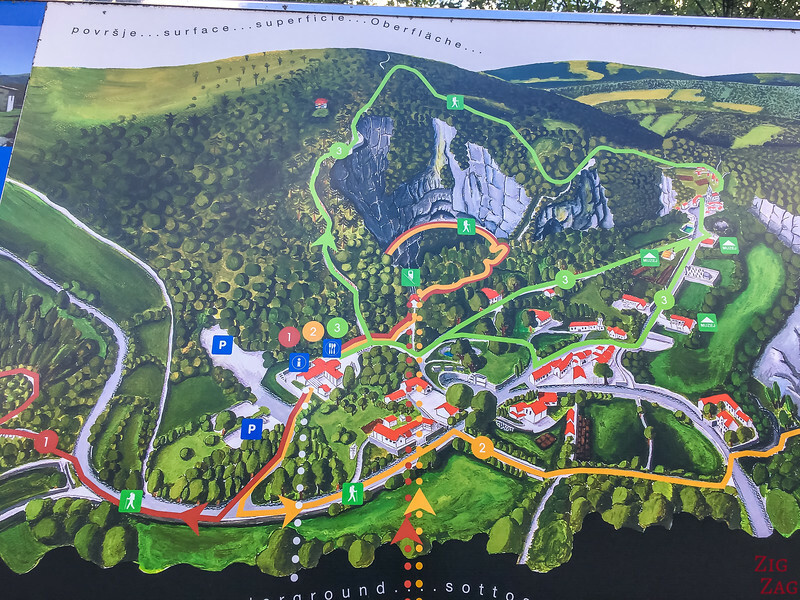 Here is my guide and photos to help you plan and imagine your visit. 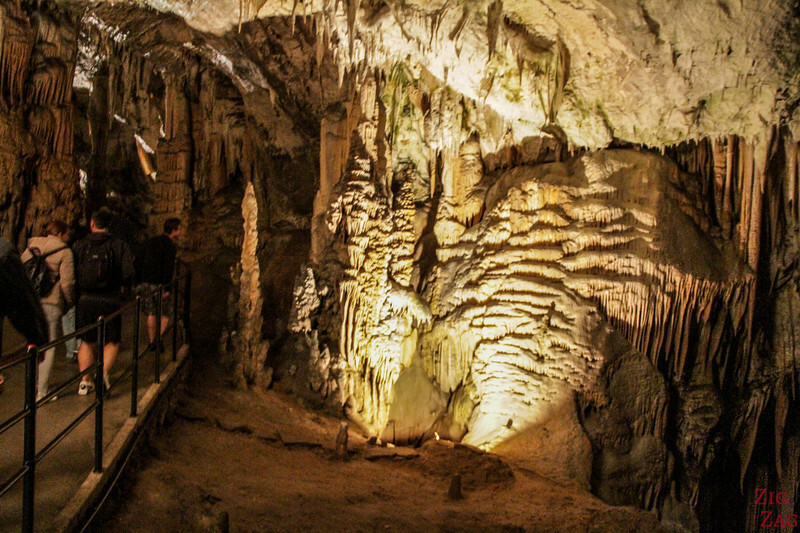 Electric lighting has been set up inside the cave since 1883! 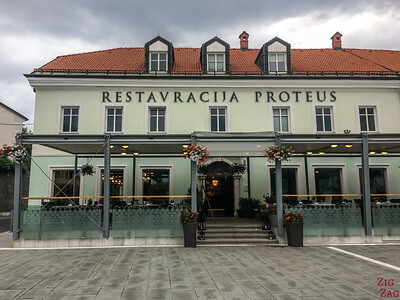 It is one of the best attractions in Slovenia. 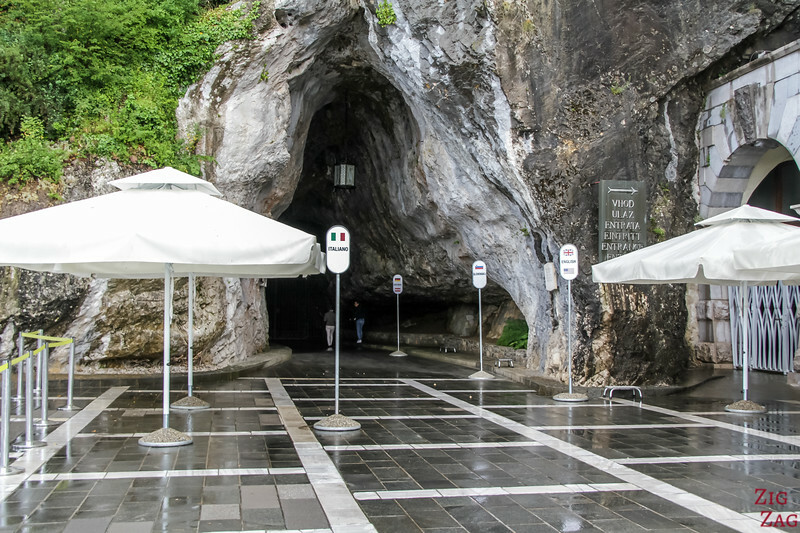 A park has been set up to manage entrance to the caves. 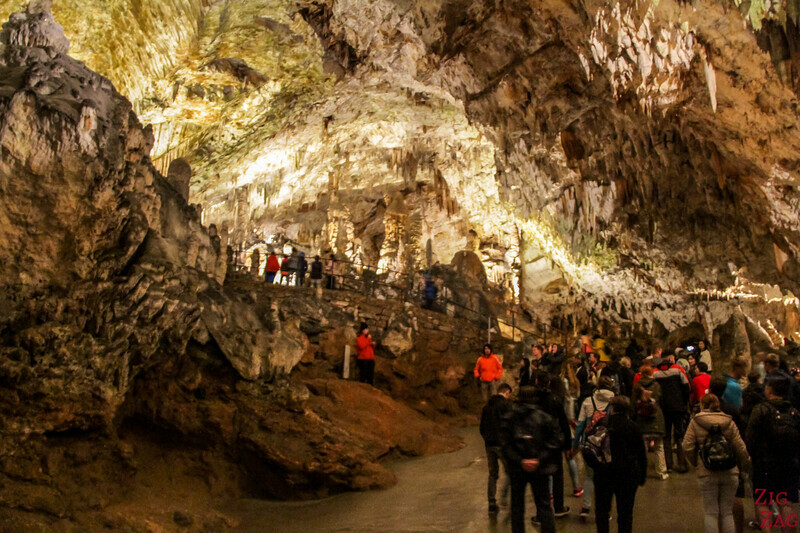 It has been a tourist attraction for a long time and one of the first cave to implement an entrance fee. Many more photos of the chambers and geological features after the practical information. Cave Temperature - Inside the cave the temperature remains constant throughout the year at 8°C so bring a jumper!!! Difficulty - they say it is easy access. It is true that there is no big staircase and a well maintained path is available throughout, but there is a significant slope at the beginning and the pace is quite fast. 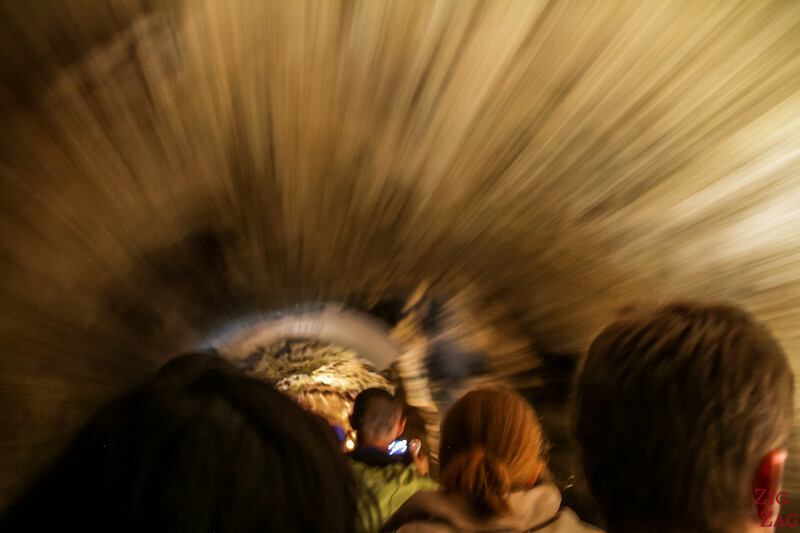 Combined with the stress of being underground, it could be difficult for some people. Now, here is a short video of my visit. 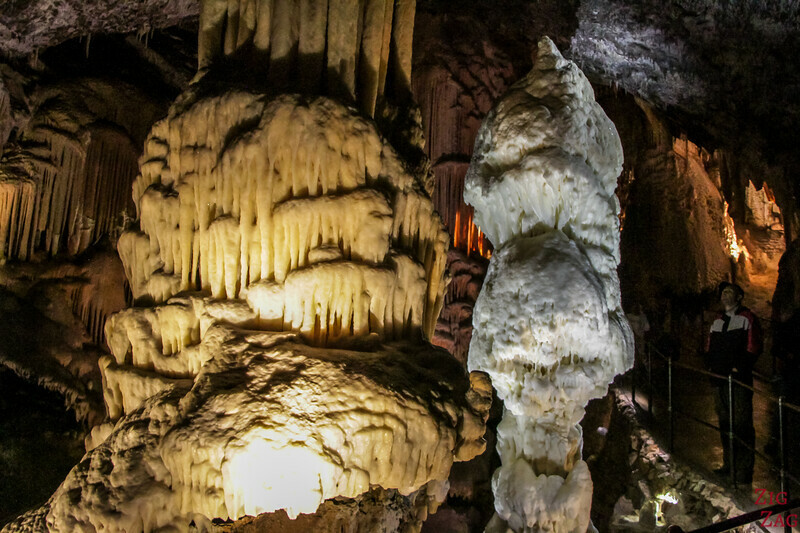 The quality is not the best because of the low light in the Caves but it will give you an idea about the experience. 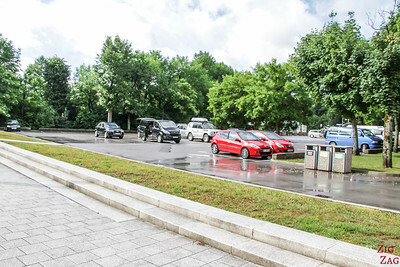 When arriving in the attraction park, there are large carparks available. Fees apply on top of cave entrance. 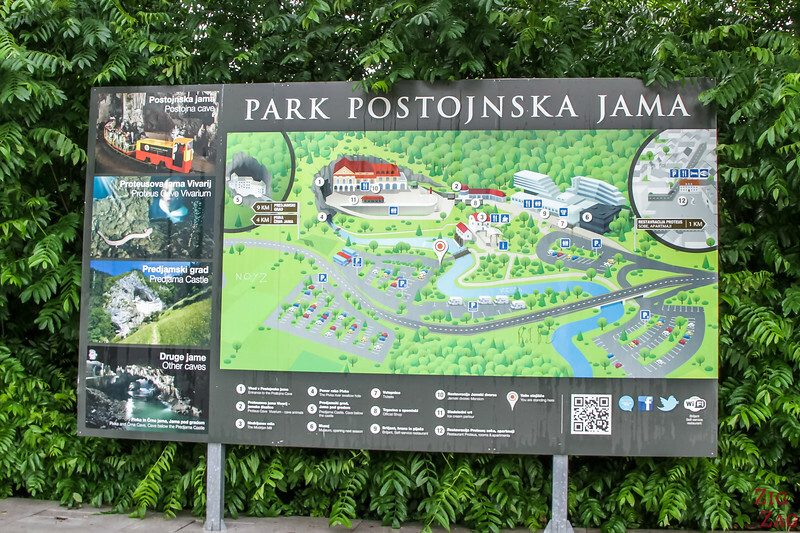 From the carparks, you have a few minutes of walking with a crossing of the river and some steps or slope to reach the entrance of the cave. You will actually move backwards to enter on the right. 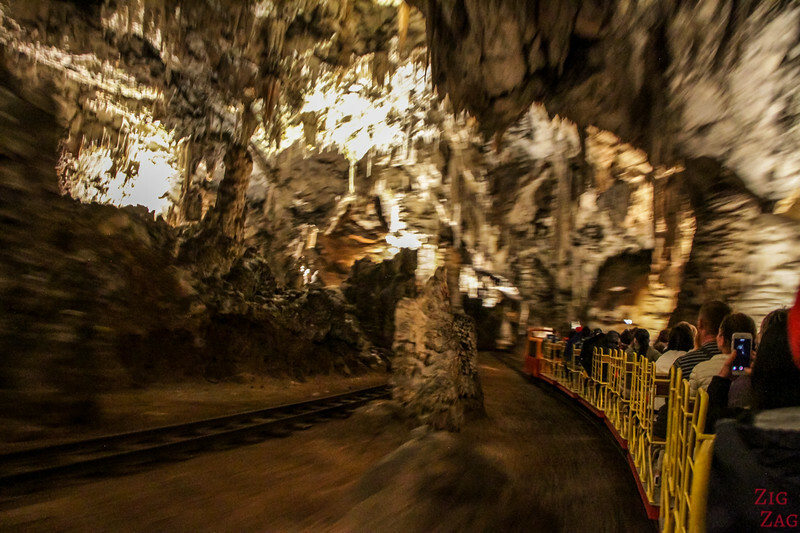 One of the fantastic features of the postojna cave is that you can explore part of the galleries in a train. 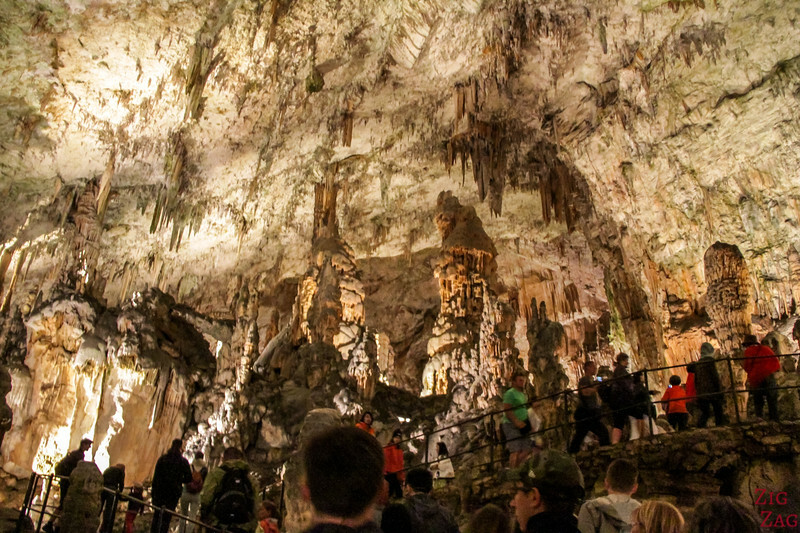 This way you can see a lot more, and explore caves which are deeper underground. 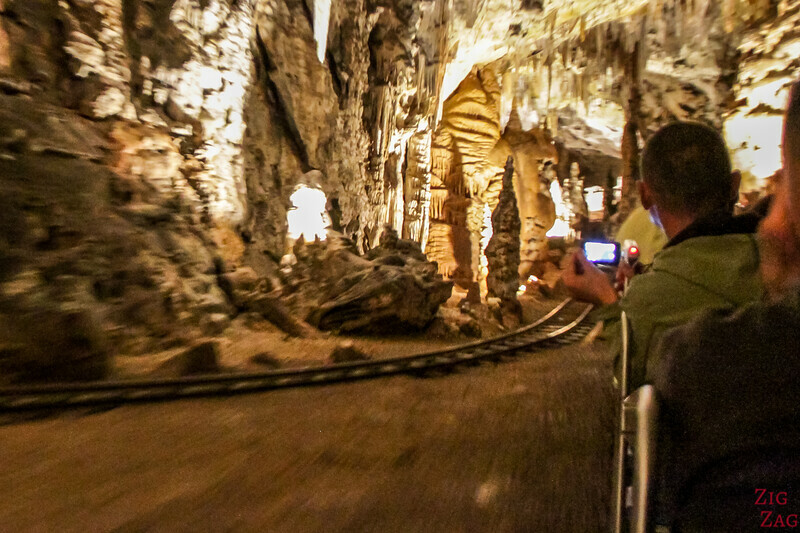 The cave has had a railway since 1872! Because of the speed, it was very difficult to photograph. You get through narrow tunnels and larger chambers. As you can see in the photo below, there is another rail track for the return. 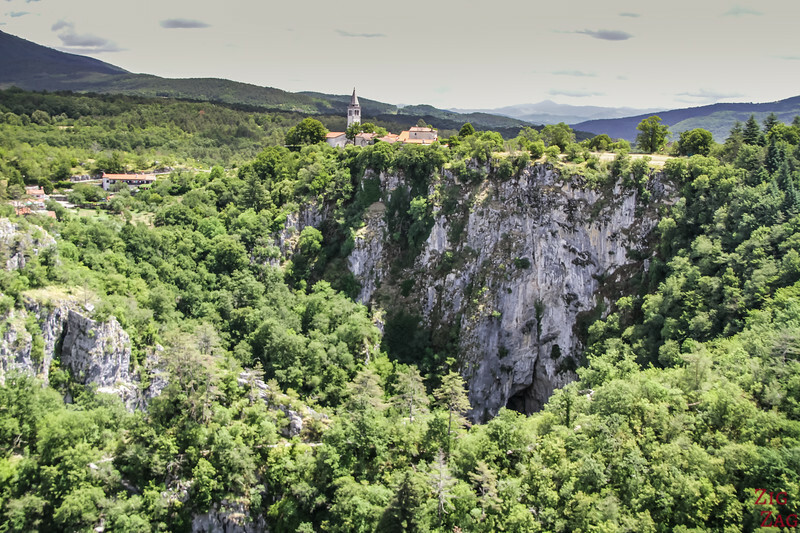 Postojna is the only cave in the world with a double-track railway line! The track is 3.7 km long. Once at the end of the railway track, you will be grouped for the visit by languages. The groups are too big for my taste but after a while you get more and more space. It starts with a slope. It was a bit difficult for my mum with her bad knees. 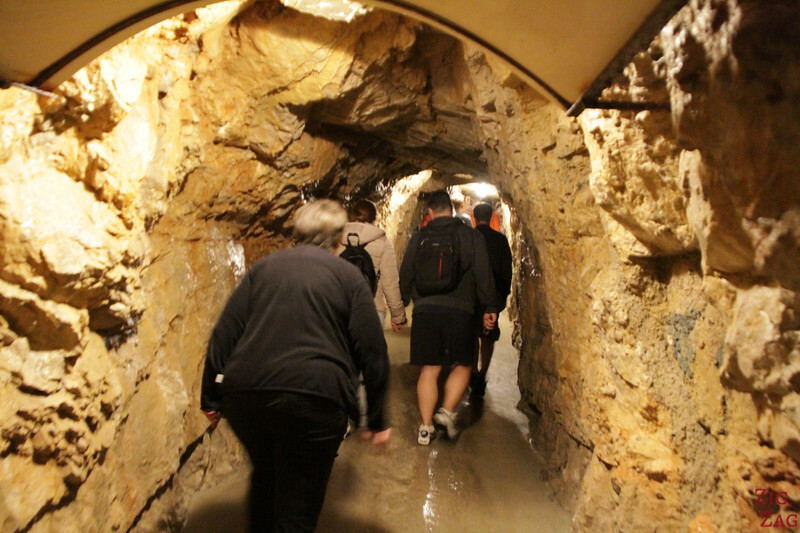 The walk goes through tunnels, and chambers of all size and different colors. 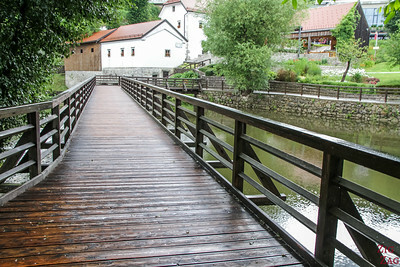 There is a well-maintained path throughout the visit, which is great because you want to focus on everything around and not where you place your foot. 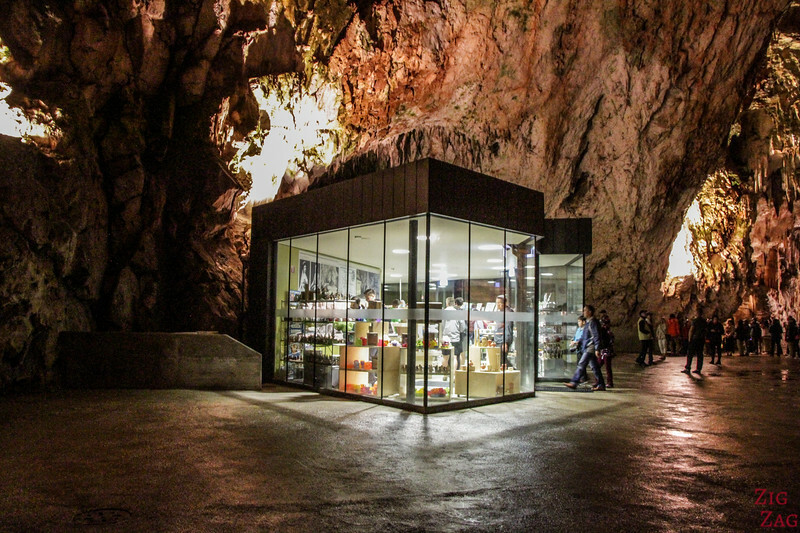 And at the end of the Postojna cave tour, before climbing into the return train, there is a souvenir shop inside the cave!!!! 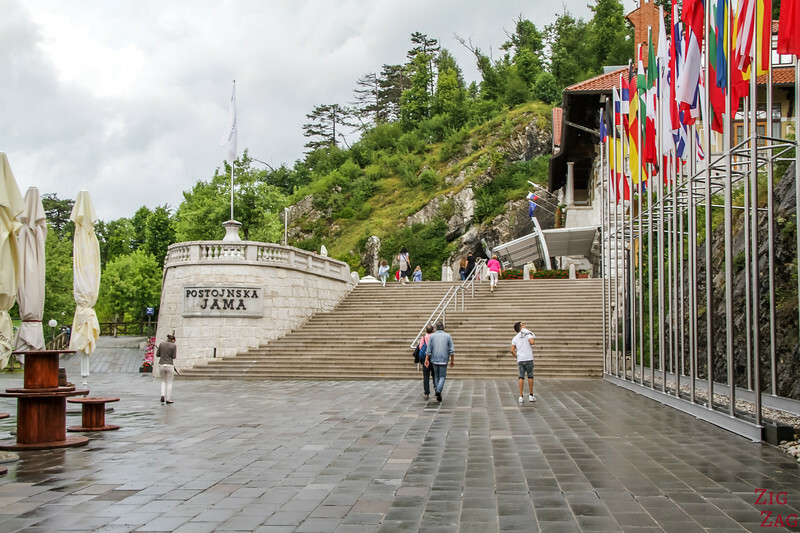 The most famous feature in Postojna is called 'Brilliant'. 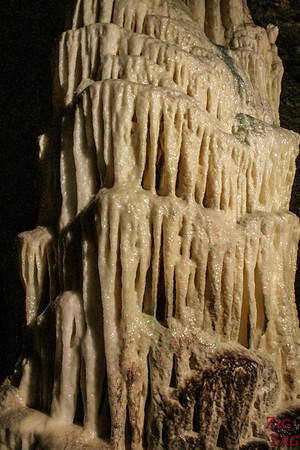 It is considered the most beautiful stalagmite. It is 5 meter tall and white in color! Right by its side is the Baroque Pillar which is dark but which I preferred. 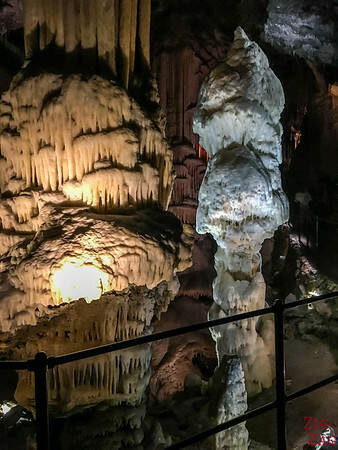 The caves also have a lot of organ-like features which are some of my favorite with series of dripping stalactites. 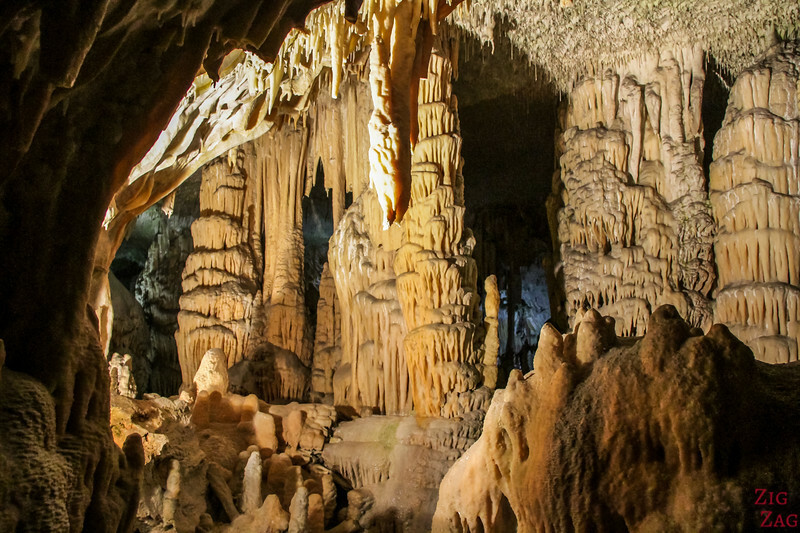 At the end there is a vivarium where you are supposed to be able to see the famous cave dwellers which looks like a dragon larva and can't see. Photos are not allowed, but anyway, I did not see anything at all! 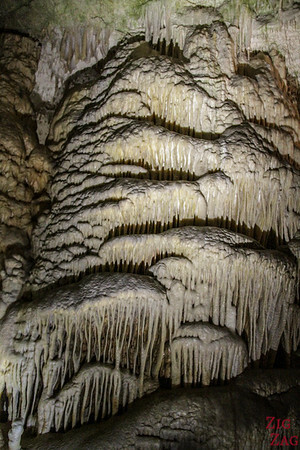 The rock star of the caves could be up to 100 years old and it is staying in its larva form with the color of flesh. 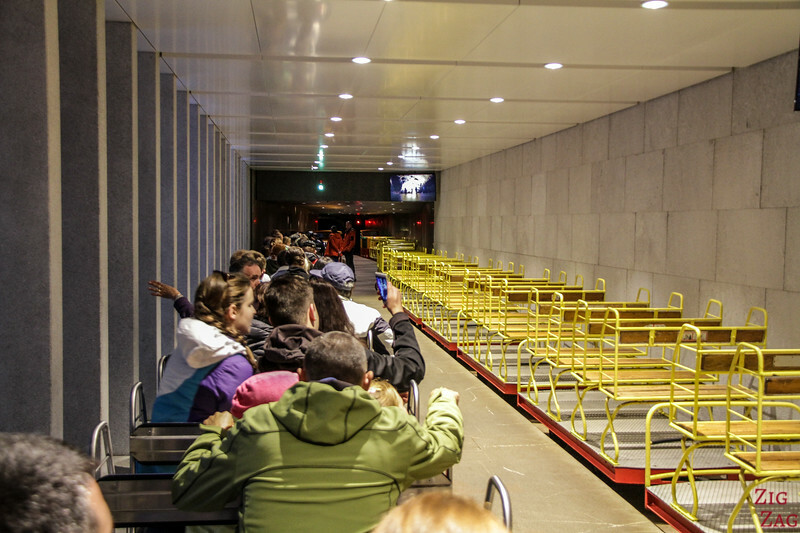 At the end of this 1 hour walk, you climb back into the train and enjoy the ride back to the entrance. 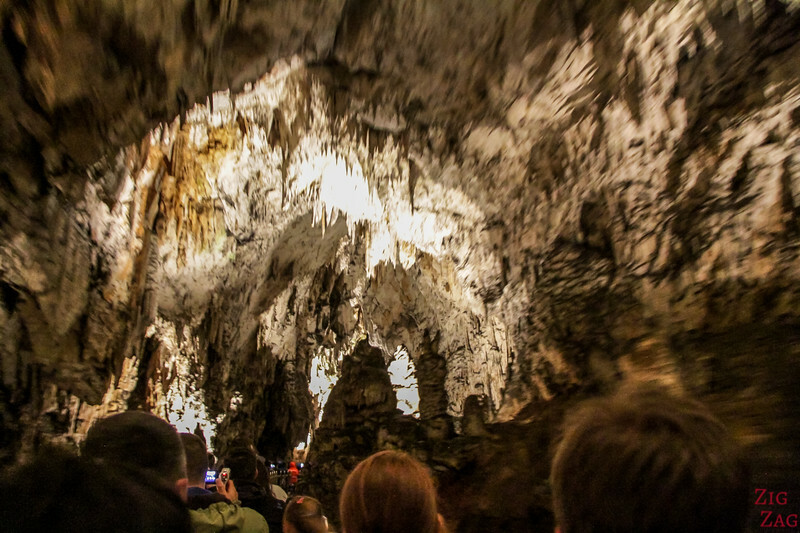 A visit to the Postojna Caves is often combined with the Predjama castle. Only a 15min drive away from the caves, this castle is quite unique. 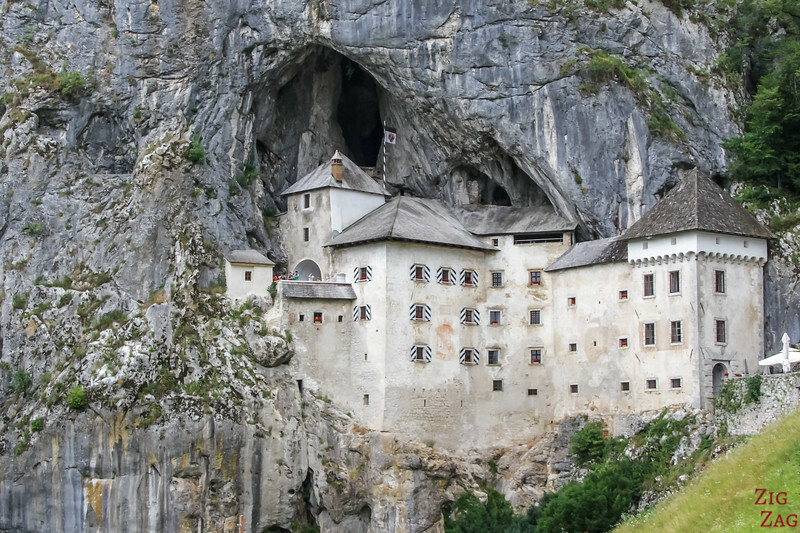 Located on a cliff side by a cave, it is in great condition and you can safely visit it to see the difficult living conditions it offered in exchange of great protection. 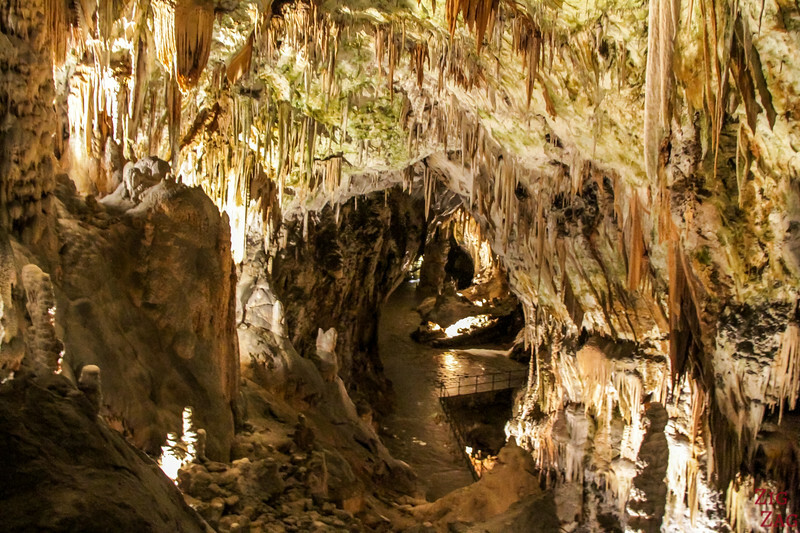 The region offers the possibility to visit to many other Slovenia caves but they are not so easily accessed, therefore less touristic. 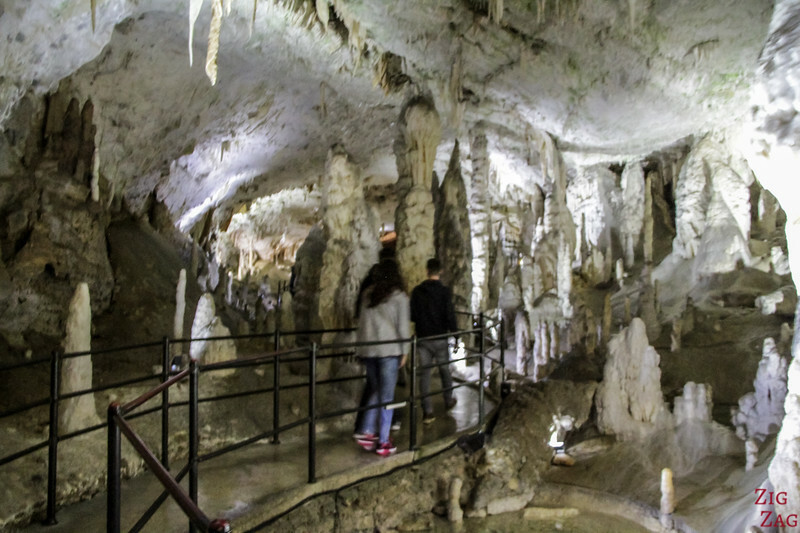 The other significant ones are the Skocjan Caves Park, which is a Unesco World Heritage site. 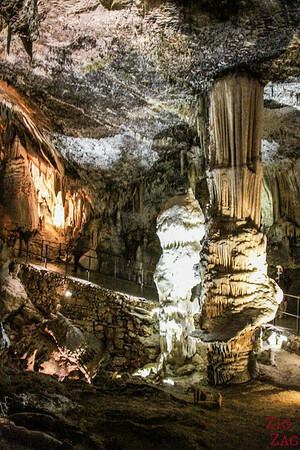 Those caves were created by the River Reka. They have less interesting features but are the most impressive by the size fo the chambers and because of the river flowing at the bottom! Sadly photos are not allowed inside. Several tours are offered. 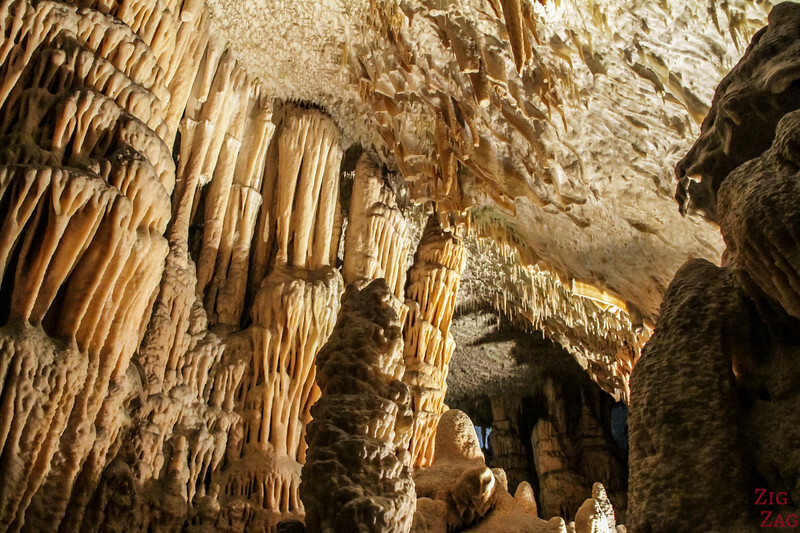 The most famous is 'through the underground canyon. You need a minimum level of fitness to complete this tour. There is no train to help you and it is not flat.